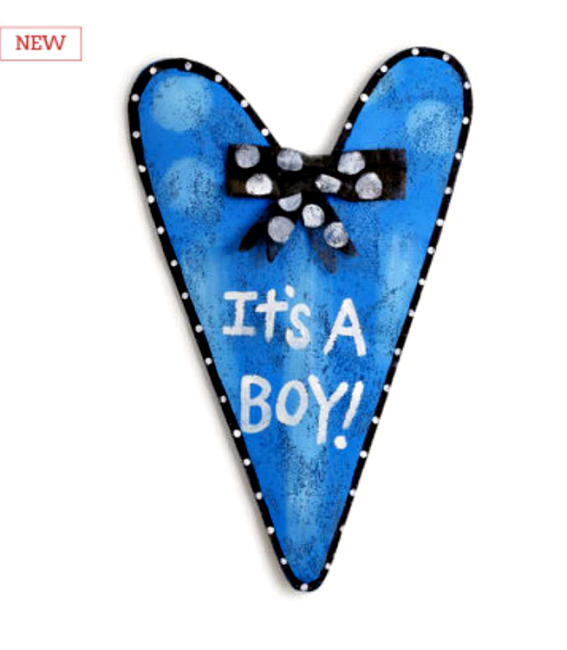 Baby Boy Heart Door Hanger from Silvestri Screenings by Artist Peri Woltjer. Reads "It's a Boy." Measures 17"W x 27"H. Made of Screen. 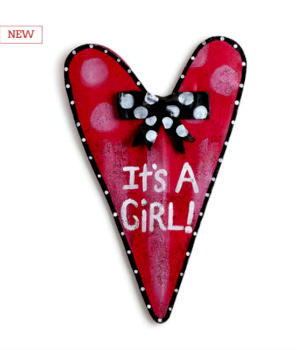 Perfect for Baby Showers, Birth Announcement, and Decoration for Boy Nursery or Nursery Door.